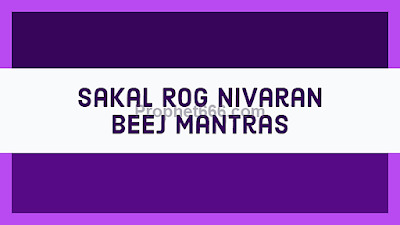 Even though, there are are many such Healing Mantras that are said to be helpful in giving relief to people suffering from all kinds of diseases, I have specially selected these Mantras because all of them have been composed using combination of Beej Mantras. 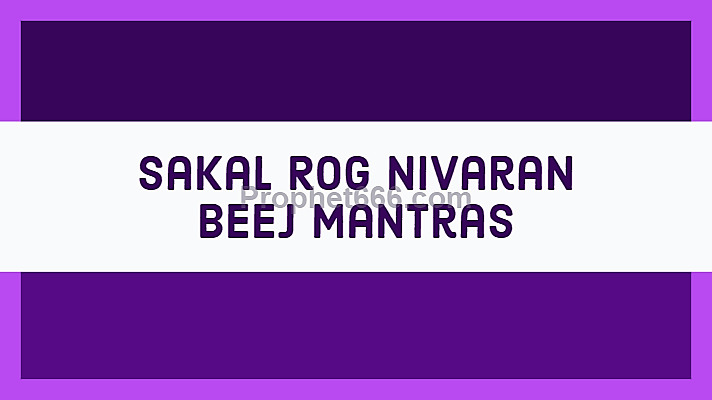 This makes these Healing Mantra Chants most powerful in combating all kinds of diseases. There is no need to chant all three Mantras and the practitioner can select any one of the three Mantras and chant it by following the simple procedure that has been prescribed. The Mantra Chanting can continued daily until the practitioner gets the desired results. The Vidhi or method of chanting all the three Healing Mantras given below is the same. The selected Mantra has to be chanted for 1 Mala or 108 Mantra Repetitions three times daily in the morning, afternoon and night. The Mantra Chanting can be started on any day and there is no need to perform any ritual or Puja- Vidhi before commenting the Mantra Chanting. The practitioner can face any direction and sit on any colored sitting mat, while chanting the Mantra. This part has to be added in most articles on Mantras because some people are very particular about these things and concentrate more on Vidhi rather than the Mantra. Notes- Purity of the mind and self-belief are the most important ingredients in getting the expected results, while practicing these Mantra Chants. See the sections on Health Mantras, Healing Yantras and Paranormal Remedies Health for many more supernatural healing remedies for getting relief from or curing a wide range of diseases, disorders and ailments. All the information given in this post is only meant for giving knowledge about Indian Paranormal Healing Remedies and not as an replacement for any kind of prescribed medical treatment. Those who wish to practice these Mantra Chants are welcome to do so alongside their on-going medical treatment. can females chant this mantra during their monthly cycle? As these are healing mantras, there should be no proble in chanting them during the monthly cycle.